Is that color I am seeing? Appointments have been kind of exciting lately. 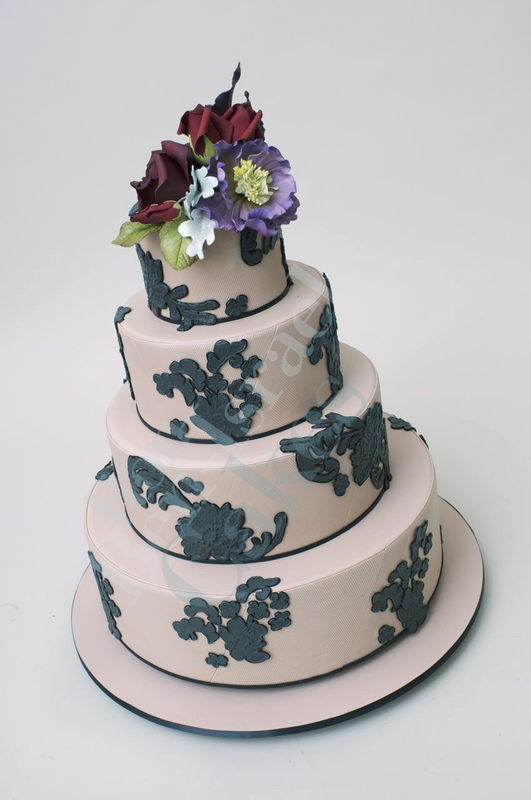 Like with fashion color is coming back into the wedding cake. 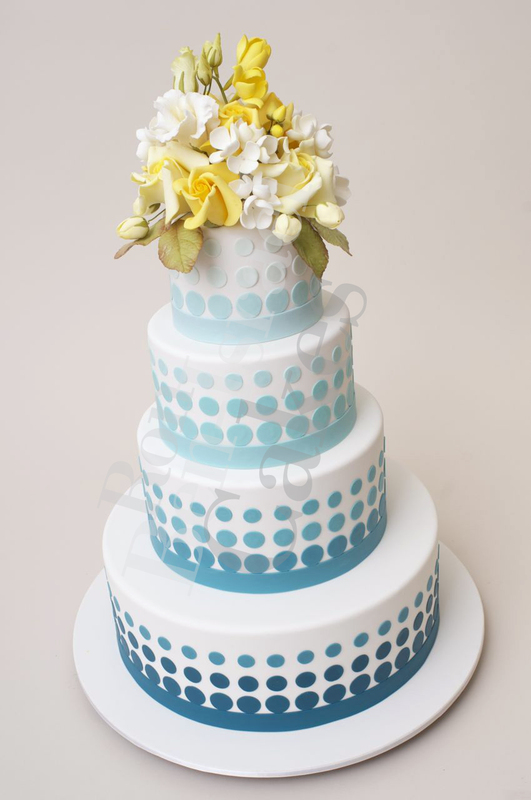 Our clients are making wonderful, bold choices for the décor of their wedding cakes this season. If you do decide to go with this bold choice, keep it relevant. You don’t want to make the cake the color of a Smurf, nobody wants a picture of you chewing on that. The additional sugar décor should compliment and enhance the color choice. 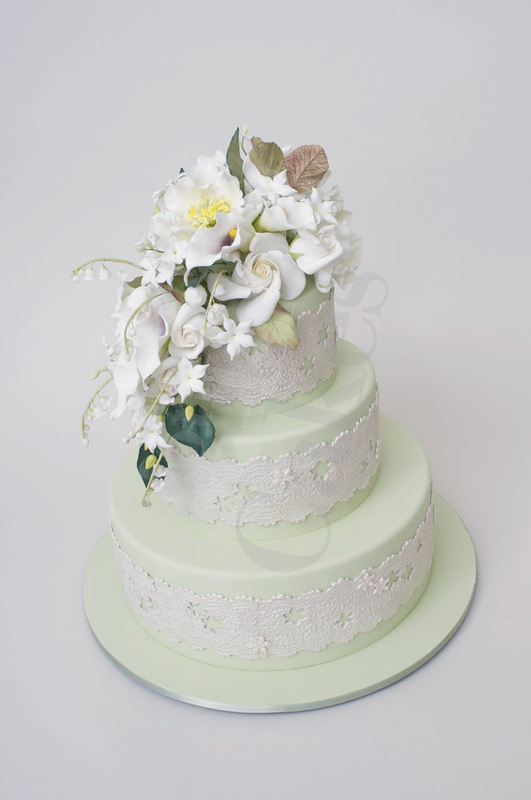 A small cake for 50 can make an elegant statement by using a light green fondant and all white flowers. Here is a really fun play on color. The ombre look is very trendy this season. You see it in fashion, hair color and on cakes too. Purple is a color we are seeing a lot of lately. It looks great in lighter as well as darker tones. 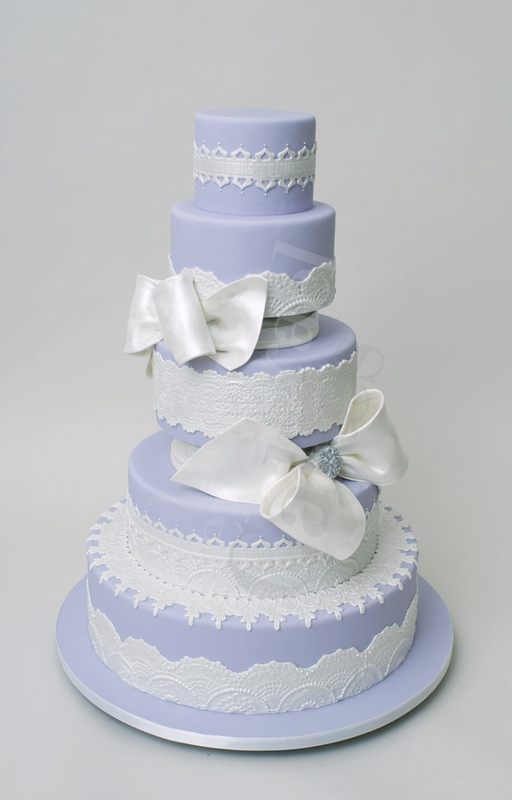 This particular cake is inspired by the brides shoes. One of the most dramatic colors of course is black. 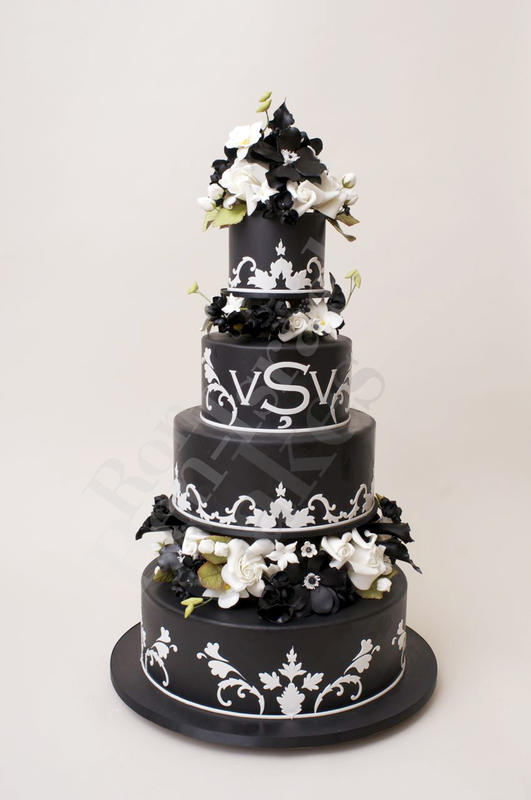 This cake makes a statement and we love it when our clients take the leap and go bold. I’m trying to find a great recipe for Cappuccino cake and Cappuccino buttercream can u help me with this.. Does our Sweet Genius Ron have recipe he would share with me..I not bakery..I ‘m a wife mother and grandmother..I wanted to make my wonderful husband a cappuccino buttercream cake. That black-and-white cake is stylish and elegant, lush and yet stream-lined. Bravo! Love all the experimentation with coloured fondants! They all look amazing, but I particularly like the soft green and the lilac versions.